We are engaged in manufacturing Hastelloy C22 Flanges which are use to cover one end of the pipe. Our engineers have designed these flanges in such a manner that they can effectively perform its work. Being a manufacturer we use high quality of steel so that it will work for longer period for time. As a manufacturer we are manufacturing Hastelloy C22 Flanges. 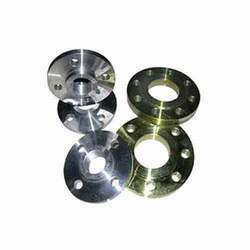 These flanges are durable and can resist against corrosion. Our wide range of product includes lapped flanges, spectacle flanges, socket weld flanges, reducing flanges, slip on flanges and plate flanges. To manufacture our product we procure raw material from trusted vendors so that we supply high quality product to our clients. Looking for Hastelloy C22 Flanges ?